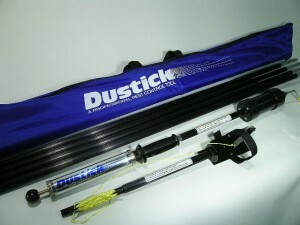 This is the Dustick including the optional Aerosol Top. The Aerosol Top is used for spraying aerosol products like Wasp Freeze and will essentially convert the Dustick into an Aerosol or “Bee Pole”. Options for this include 4 ft Extension Rods and the Scraper Top.